Richard Day (1552-1607?). 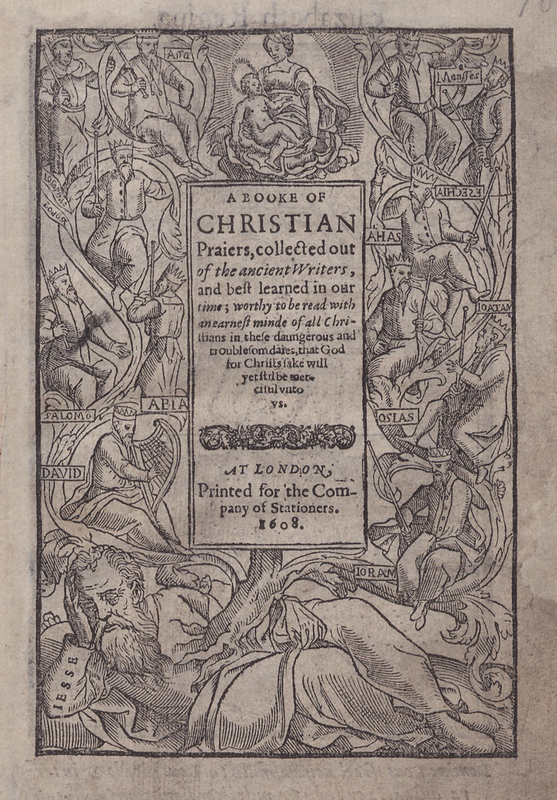 A Booke of Christian Praiers: Collected out of the Ancient Writers, and Best Learned in our Time, Worthy to be Read with an Earnest Minde of all Christians ... that God for Christs Sake will yet stil be Merciful vnto vs. London: Printed for the Company of Stationers, 1608. 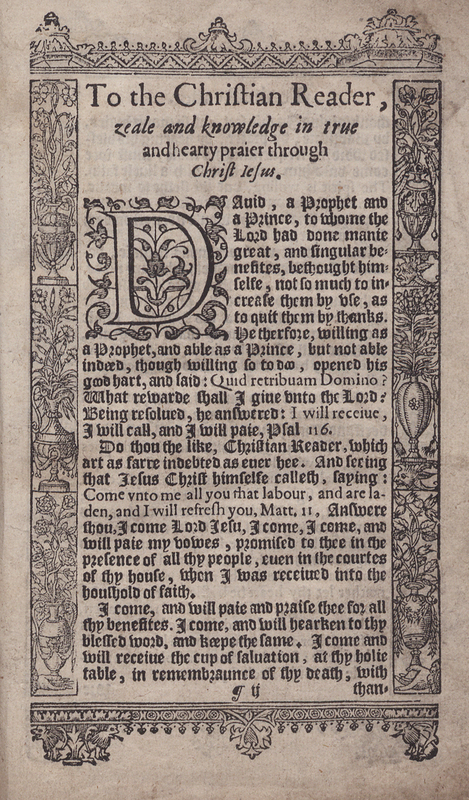 The Book of Christian Prayers, commonly known as Queen Elizabeth's prayer book, contains elaborate historiated woodcut borders on every page. 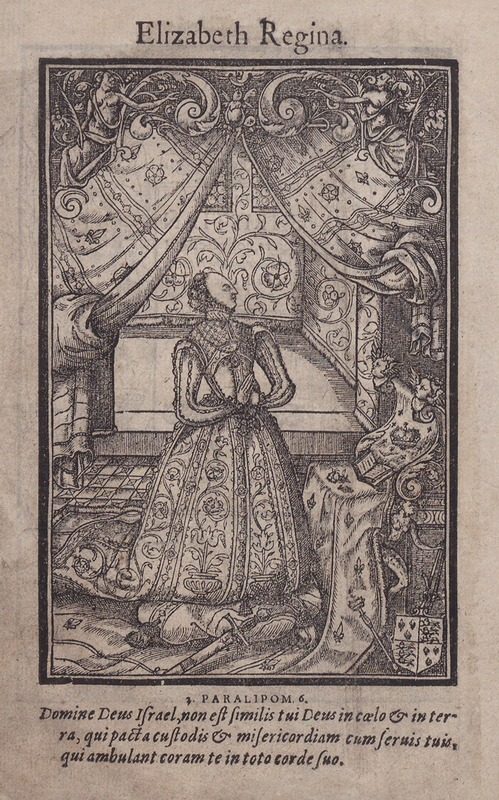 The figures, shown wearing Elizabethan clothing, are in Biblical scenes as well as imagery from the Dance of Death. Figures, both male and female, include farmers and clergymen.